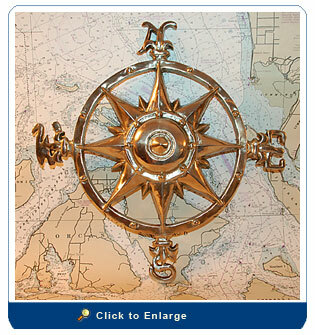 Nautical décor… a perfect accent piece for water’s edge setting. size: 12" diameter to top of cardinal points. This is a vintage piece, is solid brass and has been restored to its original condition polished, buffed and sealed with a clear brass lacquer. This is a unique piece.